Located just outside Montpellier (8km), easily accessible by tram in 10 ', between the Cévennes and the Camargue, this cottage receives up to 4 people. It is naturally air conditioned and therefore particularly comfortable in the hottest summer days. The linen is provided and changed weekly. Outside, an open terrace on a shady olive garden allows you to prepare barbecues. The bathroom is preceded by a dressing room (a closet and a closet, all 3m long) that isolates it perfectly from a phonic point of view of the rest of the house. A set of towels for each person is provided weekly. There is of course a hairdryer and a baby bath. 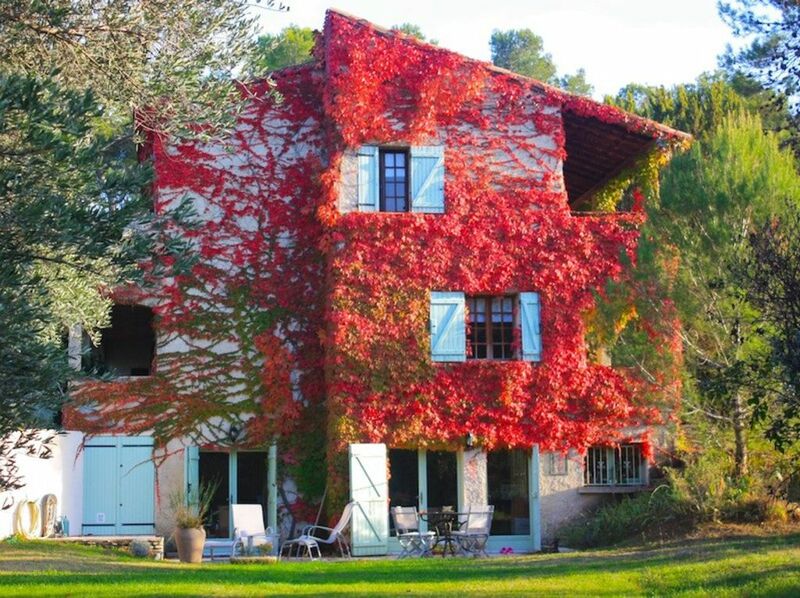 This is a charming gite set in a peaceful part of Prades-le-Lez overlooking vines and woods. The owners, Patrick and Yvonne, are the best sort of hosts you could wish for: welcoming, kind, discreet, and helpful. The gite itself is comfortable and nicely decorated, there's a garden where you can enjoy an aperitif or meal cooked up in the well-appointed kitchen. There's relatively easy access into the village where you'll find one of the best local boulangeries, a market, a supermarket, an excellent butcher's and a bar with a terrace under a shady tree. The old village is very quaint. Thank you very much, Sarah, for your so kind a review. Hope you'll be back soon for another dinner at "la cantine". And for a trip to Les Baux de Provence in order to discover the fantastic Carrieres de Lumiere. A simple comfortable gite in a wonderful location. The gite was comfortable and simple rather than luxurious and well equipped. It was in a beautiful quiet location with excellent walks. Prades was well placed for Montpellier (by tram) and the beautiful Languedoc countryside and had a supermarket, patisserie and restaurants. Patrick and Yvonne were charming hosts who made us feel very welcome. The accomodation was spacious for a couple with goodsize bedroom,living room,kitchen and shower room with good storage space.I am sure in the summer it would be delightfull to sunbathe in the garden,BBQ etc!The property is close to montpellier,the Camargue for horseback riding,bird watching and empty beaches and Cevenne for hiking.Patrick & Yvonne could not have been more frindly and helpful and the photos accurately reflect the reality.Try it you like it. "Try it you like it" our new motto. We'll do our best to deserve it. Nous avons passé 5 jours au Gite du Plo Midi à Prades le Lez et nous avons beaucoup apprécié l’environnement, le calme, le confort du gite et l’accueil des propriétaires. Le gite se trouve en pleine nature, à 5mn en voiture de tous les commerces de Prades le Lez, ou à 10mn à vélos mis à disposition gracieusement par le gite. Le gite est en fait tout le rez de chaussée d’une grande maison où logent les propriétaires, mais on ne les entend pas et sont très discrets. Yvonne et Patrick sont très accueillants et plein d’attention ; toujours prêts pour nous conseiller ou nous rendre le séjour plus agréable. Un gite à conseiller que je recommande vivement. Hiking or mountain biking you will discover the extent of scrubland and pine forests. The Cevennes and the Camargue are just 30 minutes from the cottage road, as is the beach. Lovers of cultural sightseeing and shopping are sure to get to Montpellier.